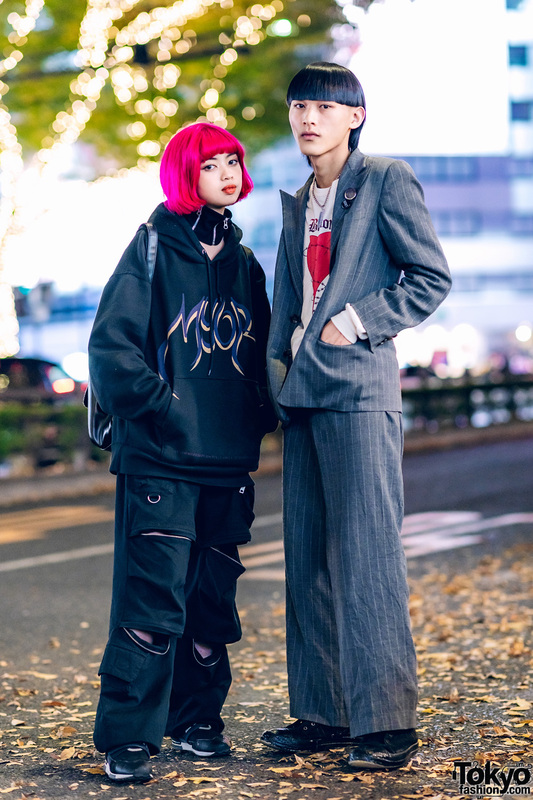 Harajuku teen sporting a casual streetwear style with colorblock jacket, dark denim pants, leather lace-up shoes with gold chain trims and a tiered ruffle canvas sling bag. 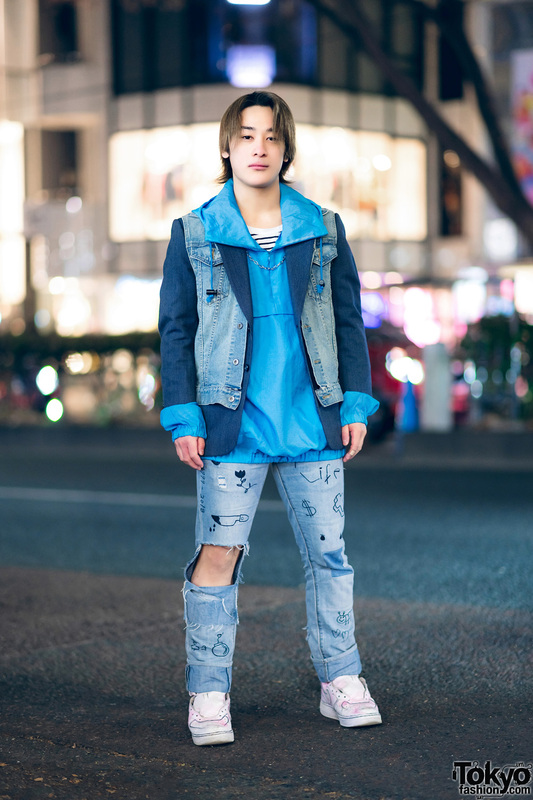 Japanese teen sporting a blue-hued retro denim streetwear style with denim vest, hoodie sweater, cutout jeans and white sneakers without laces. 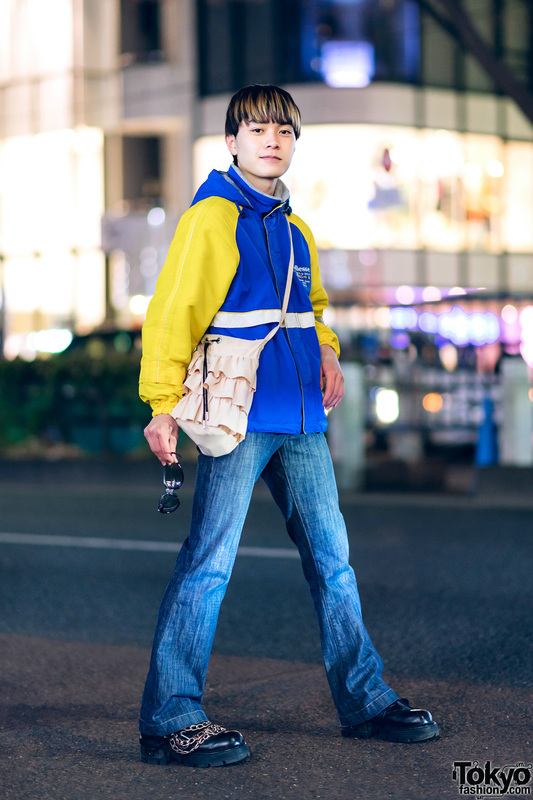 RNA shop staff sporting a denim streetwear style with a denim kangaroo pocket sweater, ripped flared jeans, purple sneakers and a yellow sling bag from Lee. 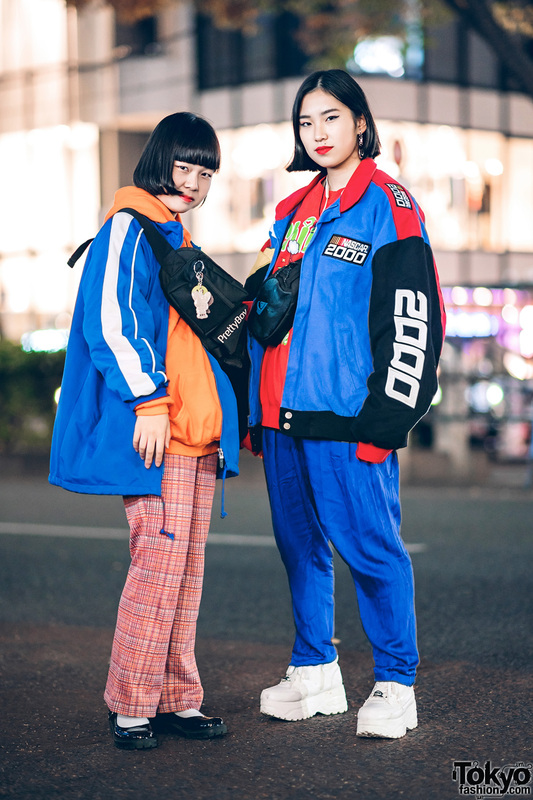 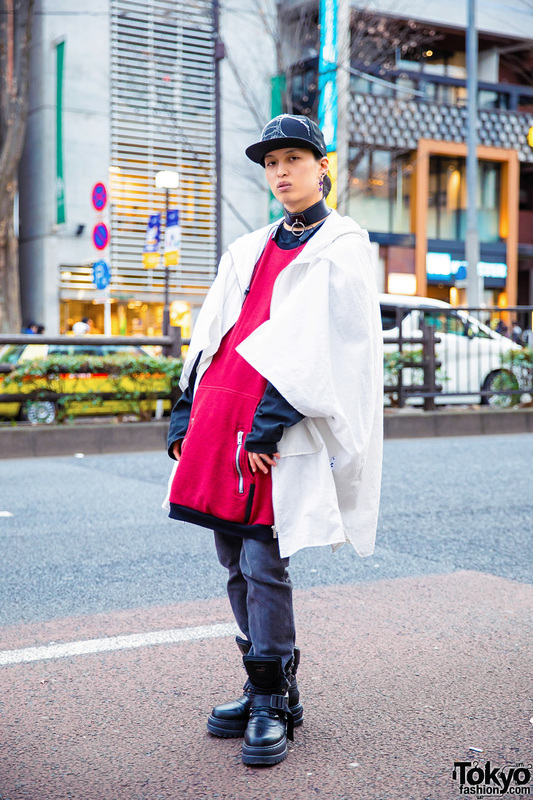 Harajuku girls in colorful sporty street styles while out and about on the street.